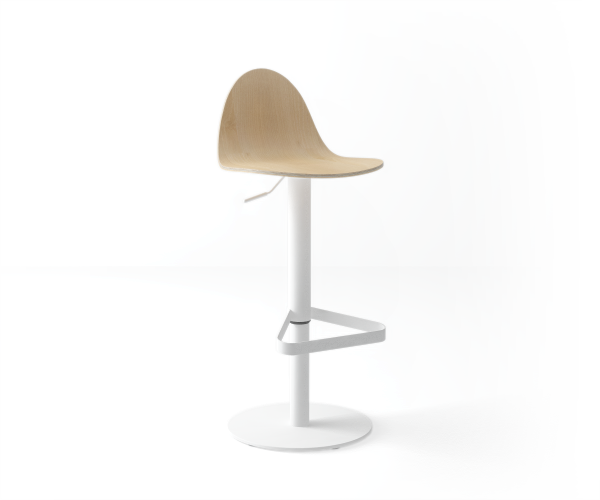 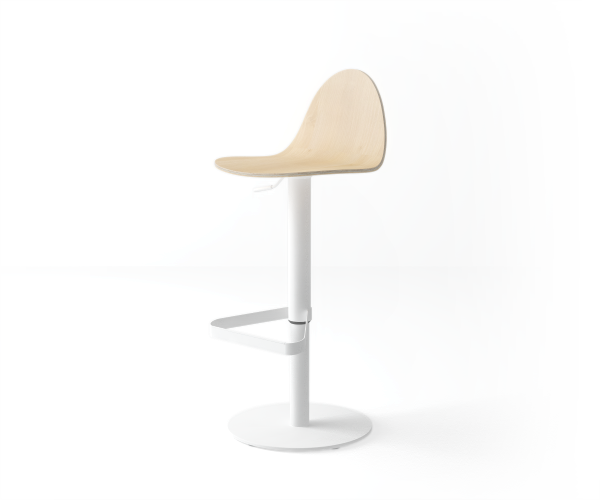 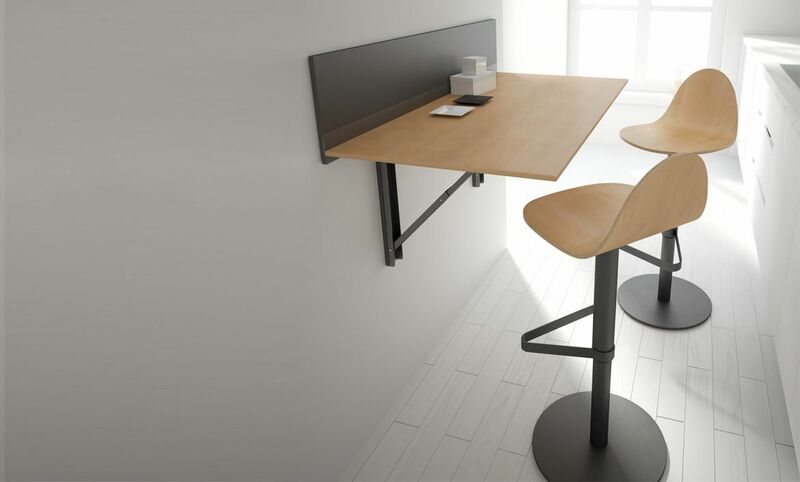 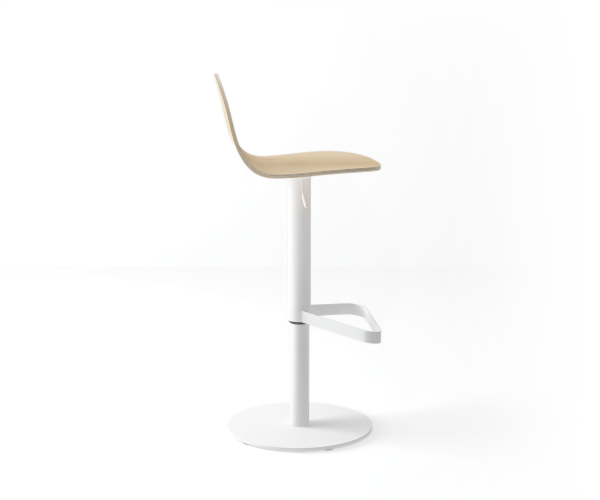 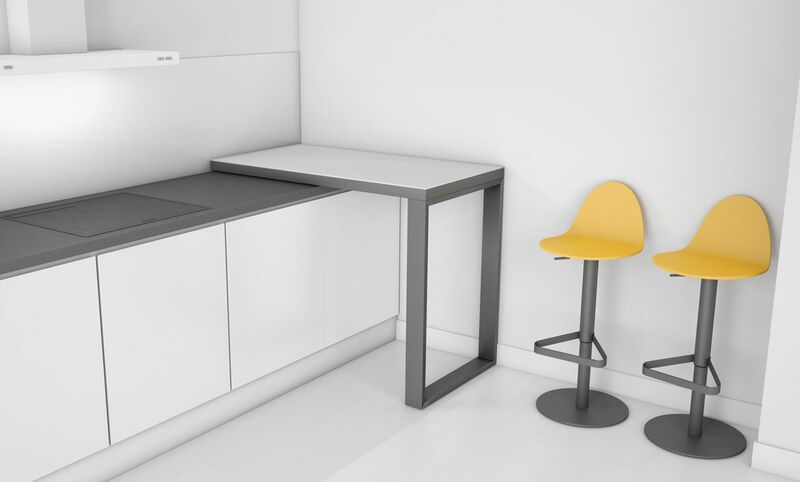 Stool bar with a column adjustable in height through a gas lift. Tabu offers a modern design with unique features thank to the regulation mechanism of high durability. 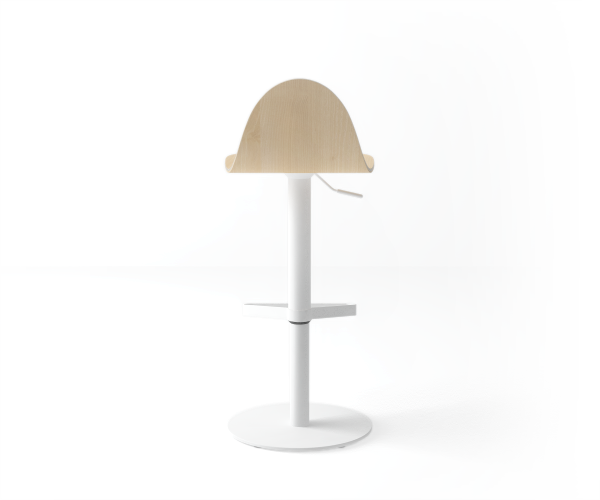 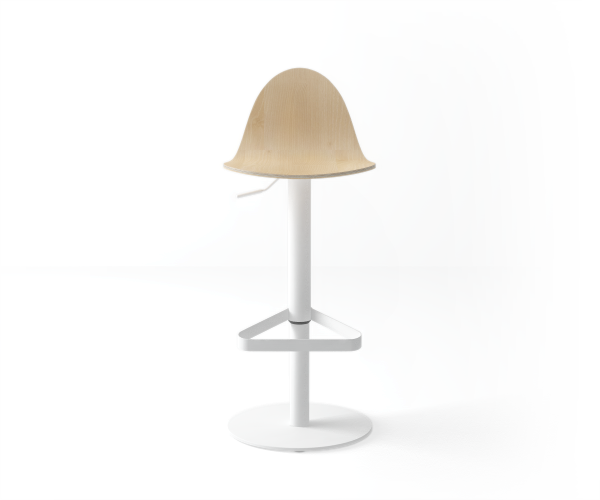 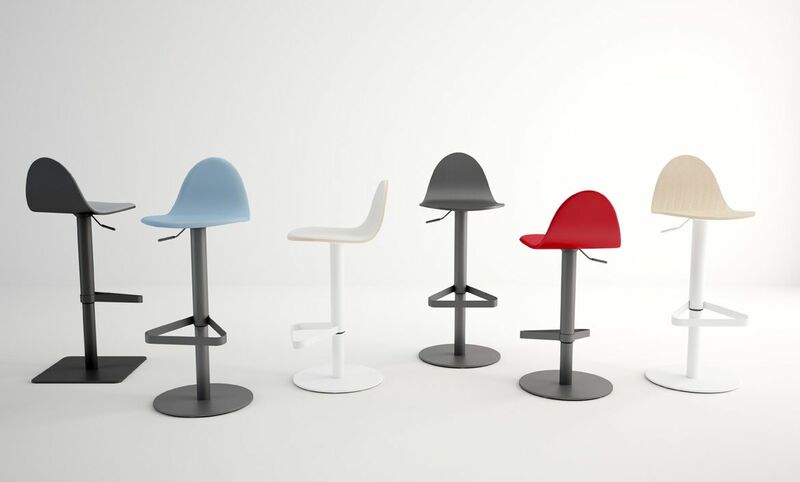 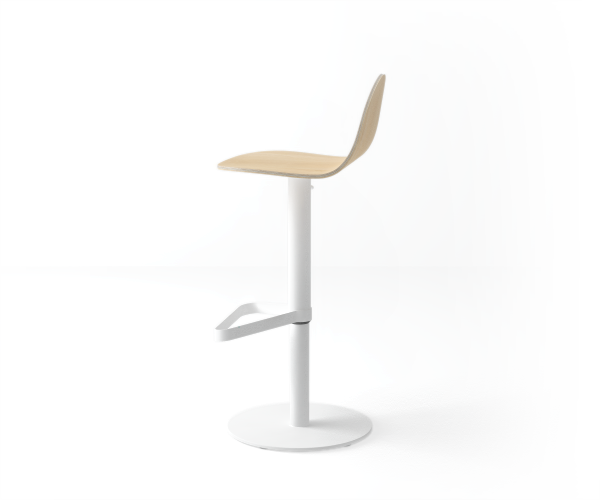 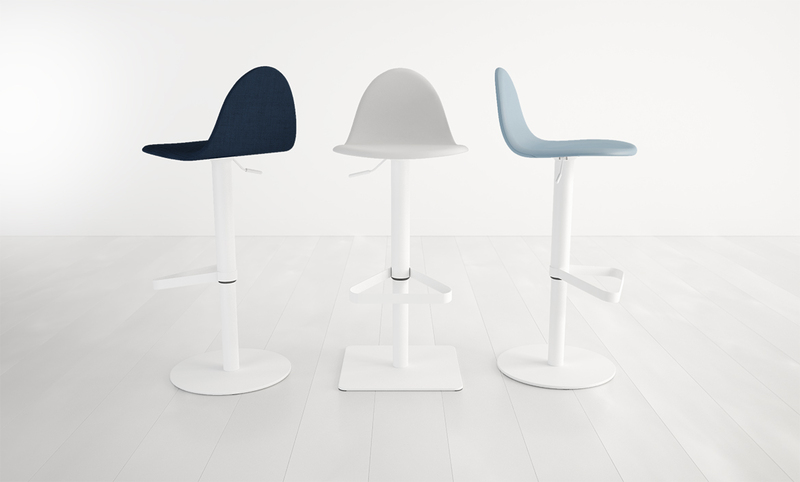 The base, the column and the footrest are manufactured in steel lacquered in epoxy and the seat, with a very proven ergonomics, it can be manufactured in lacquered plywood, upholstered in vinyl or fabric or in Tessuto version, which mix both options and which offers a wide range of finishes.